If you’re charged with a DUI or DWI in King George you’re in the right place. First thing you should do is request a free copy of my book How to Overcome Virginia DUI or DWI. My book will give you a good overview of what you’re looking at in your case in King George. It will talk about defenses that might be possible for your DWI, different outcomes that might be possible, what kind of punishments you might be looking at, and importantly it will help give you an idea of how to hire the best DUI attorneys for your case. The book is free so you should definitely request it right now. Getting a King George DWI can be scary. You’re charged with a misdemeanor offense that society takes incredibly serious. Fortunately, there may be defenses to the charge. First of all, the police need probable cause to make a traffic stop. They must have a “reasonable articulable suspicion” that you did something illegal. Many DWI charges arise out of basic traffic violations like speeding or failure to signal. If the police can testify that they observed you breaking another traffic law (and you actually were breaking the law), probable cause for the stop is usually in the bag. However, some DUI stops begin with the officer observing your vehicle swerving or driving erratically in some other manner. For these types of stops, it can be easier to argue that the officer didn’t have probable cause to make the stop. Even if the officer had probable cause for the stop, he still has to have probable cause that the driver was intoxicated. This can be another angle for to explore for possible defenses. To convict you of a King George DWI, the Commonwealth has to prove that you were intoxicated. This is primarily proven through a breath alcohol test, commonly known as a breathalyzer. The Commonwealth must meet a number of requirements to introduce the breathlyzer results at your trial. Some requirements include: the equipment must be properly calibrated, it must be operated correctly, and the certificate must be completed correctly. We will definitely explore all these angles to see if any of them will provide a defense to your DUI. 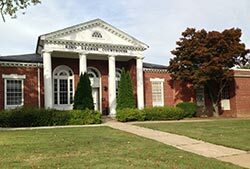 In King George the prosecutor’s office is actually fairly reasonable on DUI cases. However the specific types of outcomes that might be possible are going to depend upon those unique facts that are only present in your case. So to say whether or not your case might be reduced or amended to something like reckless driving, that’s something that we can only really determine once you and I talk about the specifics of your case that’s pending in King George. Our current judge in King George is Judge Reibach. I have defended hundreds of cases in front of Judge Reibach, and I have experience arguing DUI trials with him as the presiding judge. He is a former defense lawyer, which I think bodes well for defendants and gives us a fighting chance. These are just some of the ways to fight your DWI. I would love to talk to you about your case in King George, and we’ll work out a plan together. If you want more answers about your DWI case,grab a free copy of my book. We’ll send it right over for free. 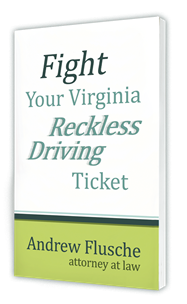 My book is packed full of concrete tips and information that will immediately help you with your Virginia DUI / DWI charge. It’s not a puff piece that I paid someone else to write. It’s filled with tips that I use to help my clients. You can grab your copy right now. What is 19.2-187.1 – Notice of Intent to Introduce Certificate of Analysis?